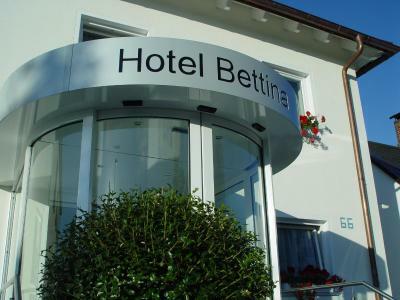 Lock in a great price for Hotel Bettina – rated 9.1 by recent guests! Very clean, spacious, good quality and quiet room. Good water pressure. Delicious and varied breakfast. Parking in front of the hotel. The old town of Gunzburg in the walking distance. Will gladly return. The 4 bed room for 2 adults and 2 children was really big. Everything was clean. 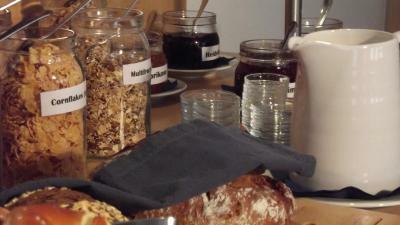 Breakfast was fantastic with lots of options to choose from. Staff was friendly. Legoland is just a few minutes away (by car). In walking distance are restaurants to have dinner. The parking lot is right in front of the property (no extra fee). Absolutely perfect! Perfect service! Perfect room! Perfect breakfast! Staff was very friendly and helpful. We stayed in the family room with balcony and it was perfect! I liked that the bathroom was very clean and huge! All was perfect!! Friendly stuff, clean....excellent!!! We got a larger room with a separate living area and a balcony at no extra costs. Everything was spotlessly clean. The hotel is only 5 walking minutes from the cinema theatre and a shopping center. We arrived later than expected and staff happily arranged our access. Breakfast was plentiful. Short stay but very happy with both the facilities and the service. Staff were very friendly and helpful. It was the perfect spot to stay as we were going to Legoland.It looked like there were a few other families doing the same. Hotel Bettina This rating is a reflection of how the property compares to the industry standard when it comes to price, facilities and services available. It's based on a self-evaluation by the property. Use this rating to help choose your stay! One of our top picks in Günzburg.This hotel is a 10-minute walk from Günzburg’s historic Old Town and 3.1 mi from Legoland Deutschland. 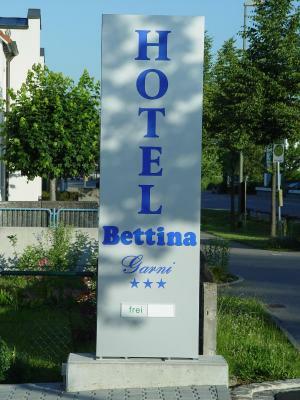 Hotel Bettina offers free parking and is 0.6 mi from the A8 motorway. 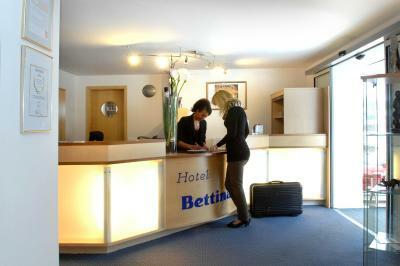 The spacious rooms at Hotel Bettina are warmly furnished with carpet and a desk. All rooms include free WiFi, cable TV and a private bathroom. Some rooms have a balcony or terrace. 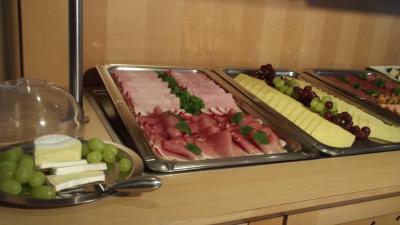 A full breakfast buffet is provided between 06:30 and 10:00 each morning at Hotel Bettina. The bright dining room is beside the lobby, where guests can relax in comfortable armchairs. Tickets for Legoland can be bought at the Bettina’s reception, so guests will not have to queue. 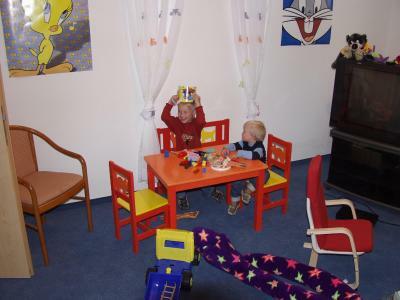 Hotel Bettina also has a children’s playroom with toys and painting sets. A games console can also be hired. 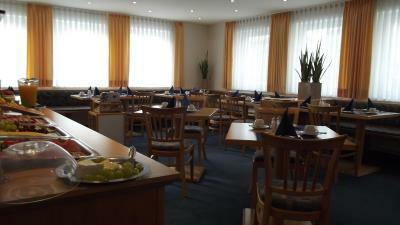 Hotel Bettina is a 15-minute walk from Günzburg Train Station. From here, a shuttle bus runs to Legoland every 15 minutes. This property is also rated for the best value in Günzburg! Guests are getting more for their money when compared to other properties in this city. 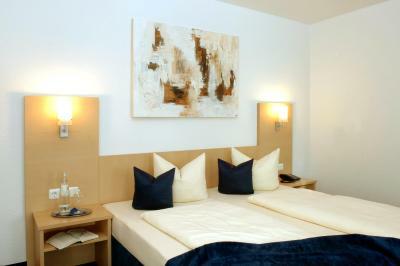 When would you like to stay at Hotel Bettina? Warmly furnished room featuring a mini-bar, safe, cable TV and a private bathroom. Warmly furnished, spacious room featuring a mini-bar, safe, cable TV and a private bathroom. This twin room features two single beds and has a cable TV and an private bathroom. House Rules Hotel Bettina takes special requests – add in the next step! Hotel Bettina accepts these cards and reserves the right to temporarily hold an amount prior to arrival. Unfriendly staff. Price not according to agreement. Handy for the autobahn, good parking and within easy walking distance of an excellent Italian restaurant - Allegro. The rear bedrooms overlooking domestic gardens are very quiet. Comfortable beds and an adequate cooked breakfast. The staff are English speaking and very helpful. The hotel met all our expectations in full. Easy access from the highway and Legoland, free parking in right in front of the hotel; superb breakfast; we stayed in family room with 2 kids - the room, incl. bathroom, was very big and comfortable. Not more 40 Eur. It is not BERLIN center. 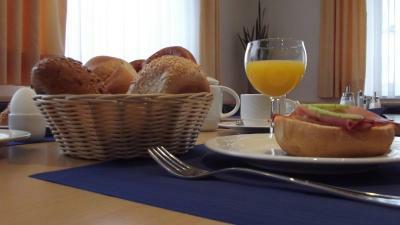 In West Berlin center Kurfurstendamm VERY more better hotel with breakfast cost 46Eur. It was very necessary for me to choose this premises . In another case I never pay such price. Never. Everything was O.K. , except price. It felt a bit expensive for what was offered. But I guess that is due to Legoland demand. Carpet in the room feels a bit dated and unclean. Breakfast was great and very welcoming staff. We felt very welcome here. Conviniently situated to visit Legoland and have dinner in the old city centre. Very friendly and helpful staff. Great location - 10 min walk to city center, close to exit towards Legoland. Impeccable rooms and bathrooms. Very good breakfast. The region is great - a lot more to see - Danube, caves, hiking, biking - I would recommend you take one extra day at least to visit these as well. The room was very big and quiet ! The bathroom also very clean ! 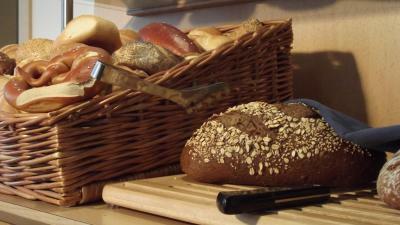 At breakfast you can find everything you want to eat ! Very close from Legoland ! Thank you for everything! Good hotel, delicious and rich breakfast. Good staff. Near Legoland. There is a car park. Staff very friendly and helpfull. Warm welcome. 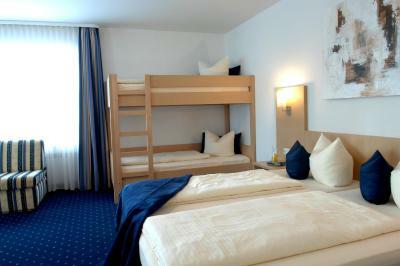 Large room, crisp and clean, with comfortable beds. With an extra bed for our child. Our room had a nice little terras outside. Fresh room with all the comfort you might need, including airconditioning and a small fridge. Location ideal for a visit to Legoland, a 5 min drive away. Breakfast was very nice and sufficiant.